IMPORTANT – Please read these Terms and Conditions carefully before accepting the agreements. Then print these Terms and Conditions and store them along with all confirmation emails, SMS messages, additional terms, transaction data, game rules and payment methods relevant to your use of the platforms and/or services. We will not file our contract with you so please print it out for your records. These Terms and Conditions are subject to change at any time (as set out below). You accept to be bound by this contract by clicking on ‘Submit’ or ‘I Agree’ and/or by using the Services (as that term is hereinafter defined). After You (as that term is hereinafter defined) click on ‘Submit’ or ‘I Agree’ or when You use the Services, a legally binding agreement on these terms and conditions is entered into between, (a) You, the end user (‘You’ or ‘Your’ as applicable) and (b) Pala Interactive LLC, registered in California and whose registered office is at 11154 Highway 76 Pala, CA 92059 (‘We’, ‘Us’ or ‘Our’ as appropriate). We offer online gaming on the Platforms pursuant to a contractual relationship with Marina District Development Company, LLC. Marina District Development Company, LLC is licensed by the New Jersey Division of Gaming Enforcement as an internet gaming operator in New Jersey. You are hereby notified that We, including through independent third parties, carry out verification procedures in regard to age, identity, full social security number and location and that your Player Account may be blocked or closed if you are found to supply false or misleading information. a. This Agreement comes into force as soon as you accept its terms, by doing which you signify to that you have read all Terms and policies and accept them in their entirety. b. 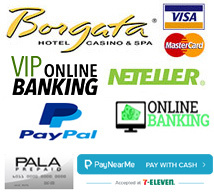 By using any of the Pala Poker, Pala Bingo USA or Pala Casino Websites, Software or Services, you signify that you agree with and will abide by these Terms. c. Pala reserves the right to modify and/or amend this Agreement at any time. d. Pala is not obligated to provide advance notice of any modifications or amendments to this Agreement. e. When logging in you will be notified of any modifications and amendments to this Agreement. All modifications and amendments to this Agreement will become effective immediately upon being posted in the Policies section of the website. It is your sole responsibility to review this Agreement and its amendments each time you play. f. Granting Player Account access to any other person, or sharing accounts between multiple people, is strictly prohibited and is grounds for account suspension or closure and forfeiture of all balances. g. You are required to be physically located in the state of New Jersey and are twenty one (21) years of age or older. It is a Federal offense for person physically located outside of New Jersey to engage in internet or mobile wagering through a New Jersey casino. h. You are hereby notified that Pala carries out verification procedures in regards to your identity and location and that your account may be blocked or closed if you are found to supply false or misleading information. You consent to the monitoring and recording by Pala and the New Jersey Division of Gaming Enforcement of any wagering communications and geographic location information. i. A link is provided to the player for access to the Division of Gaming Enforcement. You consent to the jurisdiction of the State of New Jersey to resolve any disputes arising out of interactive gaming. j. You are prohibited from using any software, script or other process (such as “robots” or “bots”) which automates, attempts to automate, or replaces a human action in any way. In the event that management determines a player is violating this condition, the account in question will be immediately closed. All funds, chips, tournament dollars, rewards points and bonuses will be frozen pending investigation. k. You agree to abide by the poker rules and house rules published on the PalaPoker.com website. Any activity that is determined, in our sole discretion, to be cheating or an attempt to cheat us and/or other users, can lead to suspension or closure of your account and forfeiture of all account balances. l. Third Party Payment Services. (i) General Terms. Your online gaming account can be loaded using several different third party payment methods. These methods are displayed on our website and may change from time to time without notice to you. In order to load funds to your online gaming account using a third party payment method, the service provider may require you to agree to a contract covering the service, or other terms and conditions covering your use of its service. The third party payment provider is solely responsible for its payment service and we are not liable for any failure of such third party to perform the load services. A. You authorize Global Payments Gaming Services, Inc. (Global Payments) or its Service Providers to initiate debit and credit entries to the account at the depository financial institution for which you have provided information. All references to “Service Providers” in this Section 1(k)(ii) shall refer to Service Providers retained by Global Payments in its sole discretion to perform some or all of acts described herein and may include, without limitation, Certegy Check Services, Inc. (Certegy). The debit for a transaction can post at your financial institution within 24 hours from the time you initiate a transaction. You further authorize all transactions to be debited from the same checking account, and such future debits will take place only when initiated by you; a receipt will be provided for each debit you initiate for the account. Your authorization will remain in effect until Global Payments or its Service Provider has received written notification by you of its termination and up to thirty (30) days has been allowed to process the request. You understand that checks or debits returned unpaid by your financial institution are subject to a service charge, which also may be debited electronically from your account or collected using a bank draft drawn from your account. B. Any dispute arising out of or relating to the services, regarding Global Payments, its Service Providers (including but not limited to Certegy) or any of their affiliates, shall be finally resolved by arbitration administered by the American Arbitration Association under its Commercial Arbitration Rules, and judgment upon the award rendered by the arbitrator may be entered in any court having jurisdiction. The arbitration will be conducted in the English language in accordance with the United States Arbitration Act. There shall be one arbitrator, named in accordance with such rules. The arbitrator shall decide the dispute in accordance with the substantive law of the state of Florida. The award of the arbitrator shall be accompanied by a statement of the reasons upon which the award is based. Any arbitration arising out of the services shall proceed solely on an individual basis without the right for any claims to be arbitrated on a class action basis or on bases involving claims brought in a purported representative capacity on behalf of others. Claims may not be joined or consolidated unless agreed to in writing by all parties. No award or decision will have any preclusive effect as to issues or claims in any dispute with anyone who is not a named party to the arbitration. C. You expressly authorize Global Payments, its Service Providers (including but not limited to Certegy), and their affiliates to contact you, via auto-dialer, pre-recorded messages, or any other method, on any of your mobile phone numbers or emails. You further acknowledge that email addresses you provide are not shared or accessed by others and are not employer-related email addresses. a. Poker Tournament Fees: Are about 10% of the cost of the entry and are displayed in each individual tournament lobby and can be reviewed prior to paying. 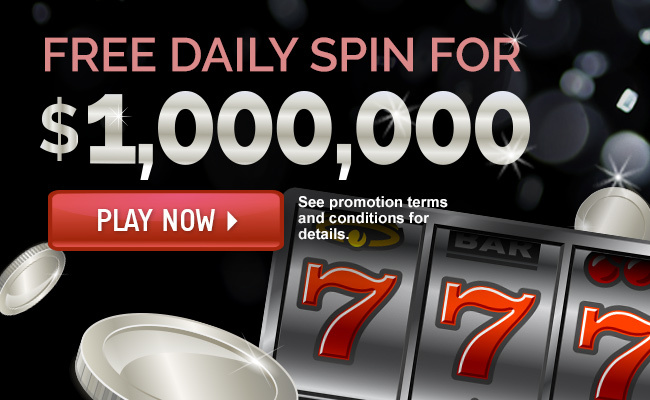 b. Bingo Game Fees: Will never be more than 17% of the total prize pool for each bingo game. c. Transaction Fees: If any, the amount will be displayed in the cashier account area and can be reviewed prior to any applicable transaction being initiated. d. The interactive gaming system provides the player an account statement with account detail on demand. The statement includes detailed account activity for at least the six months preceding the 24 hours prior to the request. Additionally, the player will be provided, upon request, a summary statement of all activity for the past year. We consider information that may be used to identify an individual, including, but not limited to, first and last name, date of birth, social security number, home or other physical address, email address, phone number or other contact information to be Personal Information (‘Personal Information’). You may be asked to provide Personal Information when You use Our website, register for an account or to use the Services. The Personal Information that We collect may include information such as: name, contact information (including telephone number), shipping information, billing information, including credit card and other account numbers, full social security number, geo-location information, wagering history, transaction history, website usage preferences, and feedback regarding the Services. This information is held by Us on servers based in Atlantic City, New Jersey and elsewhere from time to time. In addition, when You interact with the Services, Our servers keep an activity log unique to You that collects certain administrative and traffic information including: source IP address, time of access, date of access, web page(s) visited, language use, software crash reports and type of browser used. This information is essential for the provision and quality of the Services. We may use a third-party cell phone based subscription method to ensure that You are physically located in New Jersey, as required by the New Jersey Division of Gaming Enforcement for use of the Services (the ‘Location Services’). Certain service providers, including GeoComply, will make use of Your location data. You hereby consent to Us and/or to GeoComply (or such other third party geo-location providers) transmitting, collecting, maintaining, processing and using Your location data. By opting in to use the Location Services, You hereby agree to allow Us and any of Our third party geo-location providers to physically locate Your cell phone periodically while You are logged into the Services. If You would like to opt out or cancel Your use of the Location Services, You may do so by sending an SMS with “STOP”. The Location Services use location data, and by using the Services, You consent and permit Your wireless carrier to share Your location with Us and/ or GeoComply and/ or any other third party geo-location provider. Your location information is retained for up to ten years as required by the New Jersey Division of Gaming Enforcement and applicable state and federal regulations. It is only accessible by Us and Our partners for the purpose of providing the Location Services. Location coordinate data is transmitted via Secure Socket Layer (SSL) technology and stored in password protected servers managed by Us and Our geo-location and operating partners. GeoComply will not pass on or resell Your data to any third party except that they reserve the right to provide location information as necessary to satisfy any law, regulation or government agency request. Certain services including GeoComply, will make use of your location data. If you use such services, you consent to us transmitting, collecting, maintaining, processing and using your location data in order to provide and improve location-based services. You may withdraw this consent at any time by turning off the location settings or by notifying us in writing that you would like to withdraw such consent. We use the Personal Information We collect from You to deliver Our Services, to provide customer support, to undertake necessary security and identify verification checks, to process any of Your online transactions, to assist Your participation in third-party promotions, meet certain business requirements and for any other purpose related to the operation or improvement of the Services. As such, We may share Your Personal Information with Our affiliates and Our carefully selected partners (which will include any other parties which such partners have entered into data sharing arrangements with). From time to time, We may partner with other organizations or companies to provide co-sponsored or co-branded promotions, services or events and may share Your Personal Information with our co-sponsor(s) and partners. Your Personal Information may also be used by Us to provide You with: (a) promotional offers and information regarding Our products and services; and (b) promotional offers and information regarding the products and services of Our carefully selected partners, in order to better provide You with a range of products and services and improved customer service. From time-to-time, We may request information from You via surveys or contests. Participation in these surveys or contests is completely voluntary, and, therefore, You have the choice of whether or not to disclose such information. Information requested may include contact information (such as name, correspondence address and telephone number), and demographic information (such as zip or postal code or age). By accepting any contest prize or winnings from Us, You consent to use of Your name and likeness for advertising and promotional purposes without additional compensation, except where prohibited by law. Unless You have elected not to receive promotional information, We may also use Your Personal Information (including Your email address and phone number) to provide You with information regarding Our products, services and promotions, including other gaming products and services from third parties carefully selected by Us. You may ‘opt out’ of receiving any promotional communications either by choosing to opt out where such option is made available on Our sites or the Services or in an email You receive from Us. In addition, You may contact Us at our address set forth above if You have any questions or concerns regarding Our use of Your personal information. A “session-based” cookie: This type of cookie is only allocated to Your computer for the duration of Your visit to Our website. A session-based cookie helps You move around Our website faster and, if You’re a registered customer, it allows Us to give You information that is more relevant to You. This cookie automatically expires when You close Your browser. “Analytical” cookies allow us to recognize and count the number of visitors and to see how visitors move around the site when they are using it. This helps Us to improve the way our sites works, for example, by ensuring You can find what You are looking for easily. Our software package – used to access and use the Services – contains certain features designed to detect use of automated programs that enable artificial (non-human) intelligence to play on Our site. Use of such “bot” software programs violates Our Terms and Conditions, where We deem it detrimental to other players. By installing Our software and using the Services, You consent to Our software performing the functions described in this section. Our software may perform any or all of the following functions in order to detect the use of illicit automated programs and ensure that We maintain a “cheat free” environment for all users: (1) scan Your list of active software applications while You are using the Services; (2) scan Your list of active processes while You are using the Services; and (3) scan the files in Your Services and site-related program folders to ensure that only “non-hacked” versions of Our software are being used. If any of the foregoing processes reveals a suspect application or process, Our software may scan the files associated with the suspect application or process and compile a composite mesh (i.e., a profile that characterizes the files associated with the application or process) to be matched against profiles for known illicit automated programs. Our software will not perform any random search of large portions of Your hard drive, equipment or files, and it will not transmit any information to Us or to any third party other than the information necessary to identify use of illicit automated programs as described above. Our software will not alter any files or information on Your computer or other equipment and will not interfere with the operation of any of Your applications. You may terminate use of Our software at any time by uninstalling Our software package. We understand the importance of information security and the techniques needed to secure information. We store your personal information in secure and encrypted data base structures. Our Services support SSL Version 3 with 128-bit encryption. We take steps to ensure Our subsidiaries, agents, affiliates and suppliers also employ adequate levels of security. In spite of these protections, We cannot guarantee the security of any data submitted over the Internet. If you are a California resident, you have the right to request information from Us (by writing to Us at the address set forth above) regarding the manner in which we share certain categories of personal information with third parties for their direct marketing purposes, in addition to the rights set forth above. Under California law, you have the right to send us a request at the designated address listed below to receive the following information: (1) the categories of information we disclosed to third parties for their direct marketing purposes during the preceding calendar year; (2) the names and addresses of the third parties that received the information; and (3) if the nature of the third party’s business cannot be determined from their name, examples of the products or services marketed. This information may be provided in a standardized format that is not specific to you. a. You are required to be physically located in the state of New Jersey and are twenty one (21) years of age or older. It is a Federal offense for person physically located outside of New Jersey to engage in internet or mobile wagering through a New Jersey casino. b. After 365 consecutive days of inactivity, your account will be deemed Dormant. You will forfeit any remaining balance, pending wagers and items of value in your account at that time. c. You may set a limit on your gaming activity or exclude yourself. 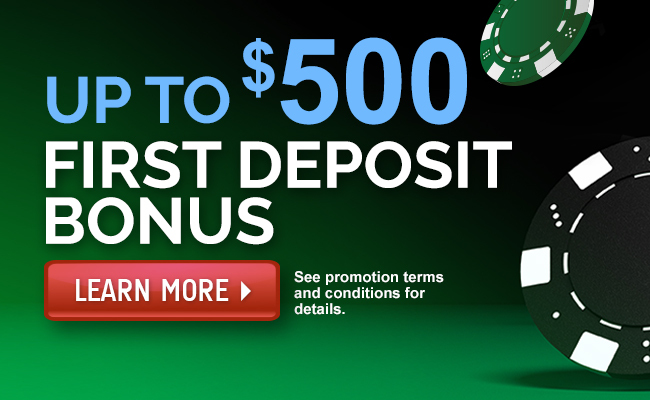 You may set a limit on the amount you can deposit within specified period of time. You may set a limit on the losses you may incur within a specified period of time. You may set a limit on the amount of time you may play in a day. You may exclude yourself from online gaming for a definite or indefinite period of time. d. You may suspend Your Account for a period of time as chosen by You (for a minimum period of 72 hours), provided the suspended Account does not remain inactive for a period of one year which would result in Your Account being a Dormant Account and any funds remaining on deposit being forfeited. e. Pala shall not in any way be held responsible for acts or omissions made by your telecommunications service provider through who you gained access to the servers, websites and software. Pala shall not be a party to any dispute between you and any service provider, nor shall any such dispute have any effect on your obligations under this agreement. Pala shall not be responsible for the connection to game servers; in the case of disconnection or internet latency, your wagers may be forfeited due to inactivity within the allotted time. f. Malfunctions voids all pays. g. In the event you detect a malfunction of the gaming software, you agree to inform Pala as soon as the malfunction is discovered by contacting Player Services and to stop any further interaction with the malfunctioning system. h. Pala may take all necessary measures in the case of abuse of any malfunction by any user, including but not limited to, blocking the Player Account concerned, freezing the funds, and withholding and/or cancelling the payment of any and all winnings resulting directly or indirectly from the malfunction. If there are insufficient funds in the Account, Pala is entitled to claim or otherwise appropriate the relevant outstanding amount relating to any winnings paid out in error which shall be a debt from the Player to Pala until fully and finally repaid. i. Pala will provide various paper, electronic and online methods for withdrawing funds from your Account. Check withdraw requests are mailed within 5 business days. ACH withdraw requests are processed within 2-3 business days. Instructions on how to change and retrieve your password. Instructions on how to activate strong authentication. If you would like to report an issue or file a complaint, you can do so at any time, online directly to Pala Player Services. Simply press “SUPPORT” from the top menu and you can instantly access the Player Services help desk. From there you can file a complaint 24 hours a day 7 days a week. Alternatively, you may file a complaint directly with the Division of Gaming Enforcement after all reasonable means to resolve the complaint with the licensee have been exhausted. Notification of Federal prohibitions and restrictions regarding Internet gaming, specifically, any limitations upon Internet gaming as set forth in 18 U.S.C. §§ 1084 et seq. (The Wire Act) and 31 U.S.C. §§ 3163 through 3167 (UIEGA). The notice shall explicitly state that it is a Federal offense for persons physically located outside of New Jersey to engage in Internet wagering through a New Jersey casino licensee, unless explicitly authorized by the New Jersey Division of Gaming Enforcement. Underage gambling is a criminal offense. Anyone who facilitates someone under the age of 21 to gamble has committed a criminal offense. You are responsible to configure the client terminal’s auto-lock feature to protect the client terminal from unauthorized use. You are prohibited from allowing any other person to access or use your Internet or mobile gaming account. 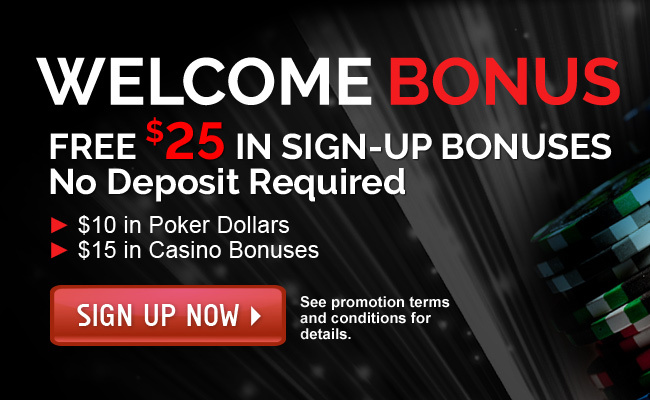 Most people play casino games, poker games, and bingo games for the enjoyment of playing. This means playing to a reasonable limit, and within their financial means. For a small percentage of players, gambling games are not a form of entertainment; they are a problem, which must be taken seriously. Pala Interactive takes steps to help players that exhibit signs of compulsive gambling. Below is some information on different topics. Players also have access to tools located within their account, which will help them to limit and control their access to gambling sites. PLEASE READ CAREFULLY BEFORE USING THIS PRODUCT: This End-User License Agreement (“EULA”) is a legal agreement between (a) you (either an individual or a single entity) and (b) Pala Interactive, LLC (“Pala”) that governs your use of any Software Product, installed on or made available by Pala. a. License. Pala hereby grants you a non-exclusive, non-transferable, revocable, limited license, without rights to sublicense, to use the Software Product solely for your individual, personal use while you are physically located in the State of New Jersey, provided such use is in accordance with the permitted uses of the Software Product as set forth in this EULA and the purpose for which the Software Product was designed as set forth in any documentation and/or instructions provided for the Software Product. b. Use. You may use the Software Product on your computer (or computers if the Software Product is sold to you for use on multiple computers). You may not use the Software Product on additional computers and do not have the right to distribute the Software Product. You agree to only use the Software Product as expressly permitted herein. c. Reservation of Rights. The Software Product is licensed, not sold, to you by Pala. Pala and its licensors own all right, title and interest in and to the Software Product and reserve all rights not expressly granted to you in this EULA. You agree to refrain from any action that would diminish such rights or would call them into question. d. Third Party Software. Notwithstanding the terms and conditions of this EULA, all or any portion of the Software Product which constitutes Third Party Software, is licensed to you subject to the terms and conditions of the software license agreement accompanying such Third Party Software whether in the form of a discrete agreement, shrink wrap license or electronic license terms accepted at time of download. Without limiting the generality of the foregoing, you are only permitted to use the Third Party Software for your personal and internal purposes, and you may not transfer or sublicense any license to any Third Party Software you may obtain hereunder to any third party, or allow the Third Party Software to become the subject of a lien. You may not make any copies of the Third Party Software, or any data contained therein or derived therefrom (except for a single copy for backup/archival purposes that retains all proprietary rights notices). Use of the Third Party Software by you shall be governed entirely by the terms and conditions of such license. You agree that you shall comply with the Google Maps terms and conditions (as located at http://maps.google.com/help/terms_maps.html), the Google Legal Notices (as located at http://www.maps.google.com/help/legalnotices_maps.html) and the AUP (as located at http://www.google.com/enterprise/earthmaps/legal/us/maps_AUP.html), as the same may be updated from time to time. e. Support. Pala may elect to provide support via e-mail, online chat or any other method offered by Pala. These methods may be changed or discontinued at any time and at the sole discretion of Pala. 2. UPGRADES. To use a Software Product identified by Pala as an upgrade, you must first be licensed for the original Software Product identified by Pala as eligible for the upgrade. After upgrading, you may no longer use the original Software Product that formed the basis for your upgrade eligibility and the upgraded software shall be deemed the “Software Product”. 3. ADDITIONAL SOFTWARE. This EULA applies to updates or supplements to the original Software Product provided by Pala unless Pala provides other terms along with the update or supplement. In case of a conflict between this EULA and such terms, such terms will prevail. a. Third Party. The Software Product may only be transferred to another end user as part of a transfer of the computer(s) on which it is installed. Any transfer must include all component parts, media, printed materials and this EULA. Prior to the transfer, the end user receiving the transferred product must agree to all the EULA terms. Upon transfer of your computer(s), your license is automatically terminated and you are no longer permitted to use the Software Product. b. Restrictions. You may not rent, lease or lend the Software Product or use the Software Product or the Third Party Software for commercial use. You may not sublicense, assign or transfer the license, the Software Product, or the Third Party Software except as expressly provided in Section 4(a) above. 5. PROPRIETARY RIGHTS. All intellectual property rights in the Software Product and user documentation are owned by Pala or its licensors and are protected by law, including but not limited to copyright, trade secret, and trademark law, as well as other applicable laws and international treaty provisions. The structure, organization and code of the Software Product are the valuable trade secrets and confidential information of Pala and its licensors. You shall not remove any product identification, copyright notices or proprietary restrictions from the Software Product or the Third Party Software. The Third Party Software is solely and exclusively owned by such third parties and their respective licensors. No title to any intellectual property rights contained in the Third Party Software is transferred to you. 6. THIRD PARTY SERVICES AND PRODUCTS. The Software Product may contain links to other websites, resources and advertisers. Pala is not responsible for such external sites. Third parties may offer from time to time applications or services to access, “plug-in” to or otherwise interact with the Software Product. Your use of such third-party applications is at your own risk and subject to the terms and conditions of those third parties. THE LICENSE GRANTED TO YOU IN THIS EULA SHALL AUTOMATICALLY TERMINATE, AND ALL RIGHTS GRANTED HEREUNDER TO YOU SHALL REVERT TO PALA, IN THE EVENT YOU USE ANY THIRD-PARTY SOFTWARE OR SERVICE TO GAIN AN UNFAIR ADVANTAGE OVER OTHER USERS OF THE SOFTWARE PRODUCT OR THAT OTHERWISE PROVIDES UNETHICAL ASSISTANCE OR ASSISTANCE NOT AUTHORIZED BY PALA WITH THE PLACEMENT OF WAGERS AND BETS. PALA MAKES NO REPRESENTATIONS OR WARRANTIES REGARDING THIRD-PARTY PRODUCTS EVEN IF DOWNLOADED FROM PALA’S WEBSITE OR BY MEANS OF A LINK ON SUCH SITE. 7. LIMITATION ON REVERSE ENGINEERING. Except to the extent that such restriction is not permitted under applicable law, you are not permitted to (and you agree not to) expose, reverse assemble, reverse engineer, decompile, reverse decompile, disassemble, reduce to human readable form, attempt to derive the source code of, create derivative works of or modify the Software Product or the Third Party Software, incorporate the Software Product or the Third Party Software into or with other software, or permit a third party to do any of the foregoing. Furthermore, you are not permitted to (and you agree not to) expose, capture, retain, aggregate, store, copy, market, modify, reverse engineer, decompile, disassemble, exploit, or otherwise attempt to discover the data contained in, or derived from, the Software Product or the Third Party Software. Nothing contained herein shall be construed, expressly or implicitly, as transferring any right, license or title to you other than those explicitly granted under this EULA. Pala reserves all rights in its intellectual property rights not expressly agreed to herein. Unauthorized copying of the Software Product or failure to comply with the restrictions in this EULA (or other breach of the license herein) will result in automatic termination of this Agreement and you agree that it will constitute immediate, irreparable harm to Pala for which monetary damages would be an inadequate remedy, and that injunctive relief will be an appropriate remedy for such breach. 8. TERM AND TERMINATION. This EULA is effective unless terminated or rejected. This EULA will also terminate immediately and without additional notice in the event you breach this EULA and/or fail to comply with any term or condition of this EULA. In such event, you must immediately destroy all copies of the Software Product in your possession and, upon Pala’s request, provide written confirmation or evidence of compliance with this Section 8. Should you continue to use the Software Product after termination of this EULA, you will be liable to pay all costs, including reasonable attorney’s fees, of Pala to enforce this EULA, as well as any damages suffered by Pala. a. YOU AGREE THAT THE USE OF THE SOFTWARE PRODUCT IS AT YOUR SOLE RISK AS TO SATISFACTORY QUALITY PERFORMANCE, ACCURACY AND EFFORT. Use of the Software Product may adversely affect the operation of other software and devices. To the maximum extent permitted under applicable law, the Software Product and the Third Party Software are offered on an “AS-IS” basis and neither Pala nor its licensors warrant that the functions contained in the Software Product or the Third Party Software will meet your requirements or that the operation of the Software Product or the Third Party Software will be uninterrupted or error free or that such errors will be corrected. Computer software is inherently subject to bugs and potential incompatibility with other computer software and hardware. You should not use the Software Product for any applications in which failure could cause any significant damage or injury to persons or tangible or intangible property. b. EXCEPT AS MAY BE SET OUT IN A SPECIFIC WRITTEN WARRANTY ACCOMPANYING THE SOFTWARE PRODUCT, TO THE MAXIMUM EXTENT PERMITTED BY APPLICABLE LAW, PALA, ITS AFFILIATES, LICENSORS AND SUPPLIERS AND ITS AND THEIR RESPECTIVE OFFICERS, DIRECTORS AND EMPLOYEES (COLLECTIVELY, THE “PALA PARTIES”) PROVIDE THE SOFTWARE PRODUCT AND THIRD PARTY SOFTWARE “AS IS” AND WITH ALL FAULTS AND WITHOUT ANY OTHER WARRANTY OF ANY KIND, AND HEREBY DISCLAIM ALL OTHER WARRANTIES AND CONDITIONS, EITHER EXPRESS, IMPLIED, OR STATUTORY, INCLUDING, BUT NOT LIMITED TO, WARRANTIES OF TITLE AND NON-INFRINGEMENT, ANY IMPLIED WARRANTIES, DUTIES OR CONDITIONS OF MERCHANTABILITY, OF FITNESS FOR A PARTICULAR PURPOSE, AND OF LACK OF VIRUSES ALL WITH REGARD TO THE SOFTWARE PRODUCT AND THIRD PARTY SOFTWARE. NO ORAL OR WRITTEN INFORMATION OR ADVICE GIVEN BY THE PALA PARTIES, OR ANY OF THEM, OR A PALA AUTHORIZED REPRESENTATIVE SHALL CREATE A WARRANTY. YOU HEREBY ACKNOWLEDGE THAT THE SOFTWARE PRODUCT MAY NOT BE AVAILABLE DUE TO ANY NUMBER OF FACTORS INCLUDING, WITHOUT LIMITATION, PERIODIC SYSTEM MAINTENANCE, SCHEDULED OR UNSCHEDULED, ACTS OF GOD, UNAUTHORIZED ACCESS, VIRUSES, DENIAL OF SERVICE OR OTHER ATTACKS, TECHNICAL FAILURE OF THE SOFTWARE, TELECOMMUNICATIONS INFRASTRUCTURE, OR DISRUPTION, AND THEREFORE PALA EXPRESSLY DISCLAIMS ANY EXPRESS OR IMPLIED WARRANTY REGARDING SOFTWARE USE AND/OR AVAILABILITY, ACCESSIBILITY, SECURITY OR PERFORMANCE CAUSED BY SUCH FACTORS. c. THE PALA PARTIES MAKE NO WARRANTY THAT (i) THE SOFTWARE PRODUCT, OR THE INFORMATION AND MATERIAL THEREIN, WILL MEET YOUR REQUIREMENTS, (ii) THE FUNCTIONS CONTAINED IN THE SOFTWARE PRODUCT WILL BE UNINTERRUPTED, TIMELY, SECURE OR ERROR-FREE, (iii) THE RESULTS THAT MAY BE OBTAINED FROM THE USE OF THE SOFTWARE PRODUCT, OR THE INFORMATION AND MATERIALS THEREIN, WILL BE ACCURATE, RELIABLE, OR AVAILABLE, (iv) ANY ERRORS IN THE SOFTWARE PRODUCT, OR THE INFORMATION OR MATERIALS THEREIN, WILL BE CORRECTED, AND (v) THE SOFTWARE PRODUCT AND THE CONTENTS AND SERVER THAT MAKES THE SOFTWARE PRODUCT AVAILABLE ARE FREE OF ANY VIRUSES OR OTHER HARMFUL COMPONENTS. d. ANY MATERIAL, INFORMATION, PRODUCTS OR SERVICES DOWNLOADED OR OTHERWISE OBTAINED THROUGH THE USE OF THE SOFTWARE PRODUCT IS DONE AT YOUR OWN DISCRETION AND RISK AND YOU WILL BE SOLELY RESPONSIBLE FOR ANY DAMAGE TO YOUR COMPUTER SYSTEM OR MOBILE DEVICE, OR LOSS OF DATA THAT RESULTS FROM THE DOWNLOAD OF ANY SUCH MATERIAL. e. NO ADVICE OR INFORMATION, WHETHER ORAL OR WRITTEN, OBTAINED BY YOU FROM THE PALA PARTIES, OR ANY ONE OF THEM, OR THROUGH OR FROM THE SOFTWARE PRODUCT SHALL CREATE ANY WARRANTY NOT EXPRESSLY STATED IN THIS EULA. f. THE PALA PARTIES MAKE NO WARRANTY, TAKE NO RESPONSIBILITY FOR, AND EXCLUDE ANY AND ALL FORMS OF LIABILITY WHATSOEVER, IN CASES WHERE YOU VIOLATE THIS EULA BY OPENING OR ATTEMPTING TO OPEN MULTIPLE PLAYER ACCOUNTS WITH US, BY PROVIDING FALSE OR MISLEADING DATA OR PERSONAL DETAILS, OR BY ATTEMPTING TO BY-PASS LIMITS, FUNCTIONALITIES, EXCLUSIONS OR OTHER RESPONSIBLE GAMING TOOLS PREVIOUSLY SET OR REQUESTED BY YOU. THE PALA PARTIES SHALL, UNDER NO CIRCUMSTANCES, BE HELD LIABLE FOR MONEY SPENT BY A CUSTOMER DURING A PERIOD OF COOLING-OFF OR SELF-EXCLUSION. g. EXCLUSIONS AND LIMITATIONS. Some states/jurisdictions do not allow exclusion of implied warranties or limitations on the duration of implied warranties, so the above disclaimer may not apply to you in its entirety. To the extent applicable law requires Pala to provide warranties, you agree that the scope and duration of such warranty shall be to the minimum extent permitted under such applicable law. h. IN NO EVENT DO THE PALA PARTIES PROVIDE ANY WARRANTY OR REPRESENTATIONS WITH RESPECT TO ANY THIRD PARTY HARDWARE OR SOFTWARE WITH WHICH THE SOFTWARE PRODUCT IS DESIGNED TO BE USED, AND PALA DISCLAIMS ALL LIABILITY WITH RESPECT TO ANY FAILURES THEREOF. 11. LIMITATION OF LIABILITY. Notwithstanding any damages that you might incur, the entire liability of the Pala Parties under any provision of this EULA and your exclusive remedy for all of the foregoing shall be limited to the amount actually paid by you for the Software Product. TO THE MAXIMUM EXTENT PERMITTED BY APPLICABLE LAW, IN NO EVENT SHALL THE PALA PARTIES (OR ANY OF THEIR RESPECTIVE LICENSORS) BE LIABLE FOR ANY SPECIAL, INCIDENTAL, INDIRECT, OR CONSEQUENTIAL DAMAGES WHATSOEVER (INCLUDING, BUT NOT LIMITED TO, DAMAGES FOR LOSS OF PROFITS, FOR LOSS OF DATA OR OTHER INFORMATION, FOR BUSINESS INTERRUPTION, FOR PERSONAL INJURY, FOR LOSS OF PRIVACY ARISING OUT OF OR IN ANY WAY RELATED TO THE USE OF OR INABILITY TO USE THE SOFTWARE PRODUCT, THIRD PARTY SOFTWARE AND/OR THIRD PARTY HARDWARE USED WITH THE SOFTWARE PRODUCT, OR OTHERWISE IN CONNECTION WITH ANY PROVISION OF THIS EULA), EVEN IF THE PALA PARTIES, OR ANY ONE OF THEM, HAVE BEEN ADVISED OF THE POSSIBILITY OF SUCH DAMAGES AND EVEN IF THE REMEDY FAILS OF ITS ESSENTIAL PURPOSE. any damages or injury caused by any failure of performance, error, omission, interruption, defect, delay in operation of transmission, computer virus, or line failure. 12. INDEMNITY. You agree to indemnify and hold the Pala Parties harmless from any claim or demand (including but not limited to reasonable legal fees) made by a third party due to or arising out of or related to your violation of the terms and conditions of this Agreement, your violation of any laws, regulations or third party rights or your negligent act, omission or willful misconduct. 13. PAYMENTS; TAXES. Payments will be made as soon as reasonably possible (subject to up to three business days internal processing time), although there may be delays due to any security review undertaken by Pala and save where Pala holds any such payments in accordance with this Agreement, or any other agreement between you and Pala. Under penalties of perjury, you declare that, to the best of your knowledge and belief, the name, address, and social security information that you have furnished correctly identify you as the recipient of any jackpot payments and any payments from identical wagers, and that no other person is entitled to any part of these payments. You acknowledge the Form W2G may be issued by Pala by January 31 following the year of the payment. By accepting this Agreement, you acknowledge that any casino winnings/jackpots and bingo winnings of one thousand two hundred US dollars ($1,200) or more, and poker tournament winnings of more than $5,000 thatyou win by using the Services are subject to the IRS regulations, and you permit your acceptance of this Agreement to serve as an electronic signature and to suffice any acceptance and signature on any tax documents incurred during the internet gaming activity. Your acceptance of these Agreements serves as acknowledgement that the Form 1099-Misc may be issued by Us by January 31 following the year of the receipt of a prize consisting of cash or merchandise for which a 12 month accumulated value of six hundred US dollars ($600) or more won by using the Services are subject to the IRS regulations. 14. U.S. GOVERNMENT CUSTOMERS. The Software Product is a “Commercial Item” as that term is defined in 48 C.F.R. 12.212 or 48 C.F.R. 227.7202, as applicable. Consistent with 48 C.F.R. 12.212 or 48 C.F.R. 227.7202, as applicable, Commercial Computer Software and Commercial Computer Software Documentation are licensed to the U.S. Government users (i) only as Commercial Items and (2) only with those rights granted to other users under this EULA. Unpublished rights are reserved under the copyrights of the United States. 15. COMPLIANCE WITH LAWS. You shall comply with all laws and regulations of the United States and other countries (“Export Laws”) to ensure that the Software Product and the Third Party Software is not (1) exported, directly or indirectly, in violation of Export Laws, or (2) used for any purpose prohibited by Export Laws. You further agree that you will not use the Software Product for any purpose prohibited under applicable law. 16. APPLICABLE LAW & VENUE. This Agreement shall be governed, construed, and enforced in accordance with the laws of the State of New Jersey, without regard to its conflict of laws analysis. You hereby irrevocably and unconditionally submit to the jurisdiction of courts located within Mercer County, New Jersey, or the United States District Court for the District of New Jersey for purposes of all legal proceedings arising out of or relating to this EULA or your use of the Software Product and agree not to commence any legal proceedings related thereto except in such court. You irrevocably waive, to the fullest extent permitted by law, any objection that you may now or hereafter have to the laying of the venue of any proceeding brought in any such court or any claim that a legal proceeding commenced in such court has been brought in an inconvenient forum. 17. NO WAIVER OF SOVEREIGN IMMUNITY. The Pala Band of Mission Indians, a federally recognized Indian Tribe (the “Tribe”), is the majority shareholder in Pala. It is understood and agreed that any suit, action, proceeding and/or legal process of any type whatsoever arising out of this Agreement against Pala will be expressly limited to Pala, and the recovery of any monetary damages upon any settlement, arbitration, decision or judgment resulting therefrom shall be limited solely to recovery against the assets of Pala. The Tribe itself is not subject to jurisdiction of state or federal court, and does not waive its sovereign immunity in any respect, nor under any circumstances is there a waiver of any immunity of any elected or appointed officer, official, member, manager, employee or agent of the Tribe. Accordingly, in the event of any dispute, whether in the context of any arbitration or alternative dispute resolution or court proceeding involving Pala, Pala will not assert application of any tribal laws, any requirements of following tribal court procedures, or sovereign immunity as to Pala. 18. ENTIRE AGREEMENT. This EULA is the entire agreement between you and Pala relating to the Software Product and it supersedes all prior or contemporaneous oral or written communications, proposals and representations with respect to the Software Product or any other subject matter covered by this EULA. To the extent the terms of any Pala policies or programs for support services conflict with the terms of this EULA, the terms of this EULA shall control. In the event of a conflict between the English and any non-English versions of this EULA, the English version shall govern. If any provision of this EULA is held by a court of competent jurisdiction to be contrary to law, such provision will be changed and interpreted so as to best accomplish the objectives of the original provision to the fullest extent allowed by law and the remaining provision of the EULA will remain in force and effect. Sections 5 and 7-17 shall survive termination of this EULA.